Canine testicles. 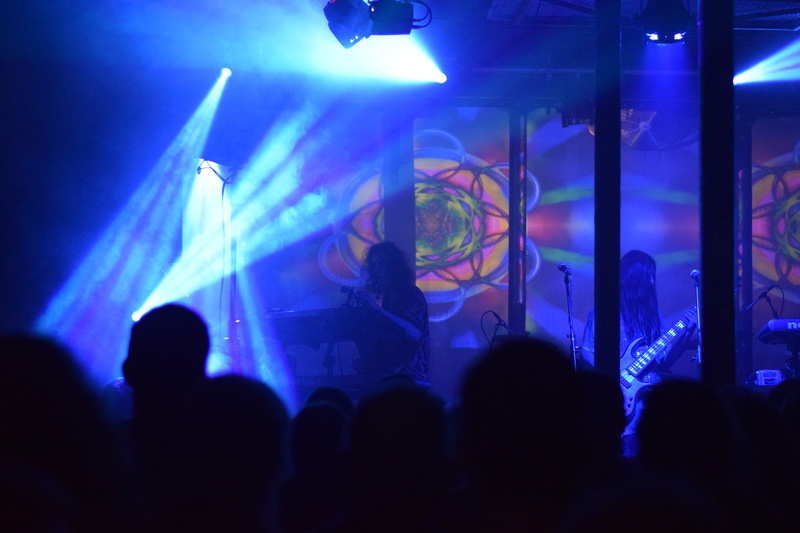 No, that is not the name of the new Ozric Tentacles album (although it might be), but a description of an Ozrics live show. Tonight they bring their full on sensory overload experience to The Fleece in Bristol. Despite your feet sticking to the stone floor and the pillars obstructing your view, The Fleece, formerly the Fleece and Firkin, is one of the best live venues in the country. Originally built as a wool market in 1830, the grade II listed building is now home to a 400 capacity live venue that has hosted some serious names since it became a venue in 1982, including Oasis, Radiohead, Queens of the Stone Age, White Stripes and the Tofu Love Frogs. 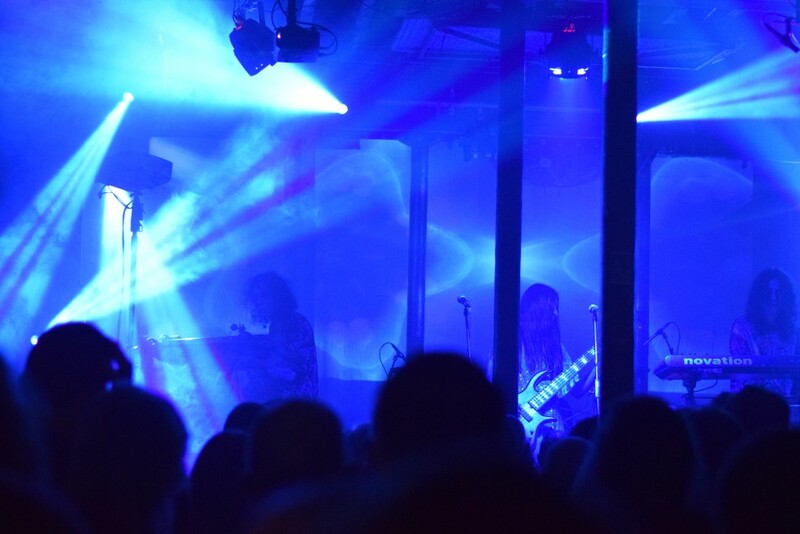 It is difficult to describe an Ozric Tentacles gig to the uninitiated. There is nothing to compare it to. Just about all of your senses are subjected to overloading and your brain is sliced and diced during two hours of the most psychedelic experience you can have without drugs. Good luck to you if you opt to experience it on drugs. Tonight they have the Fruit Salad Light Show on board making sure this end of tour gig is the ultimate trip. 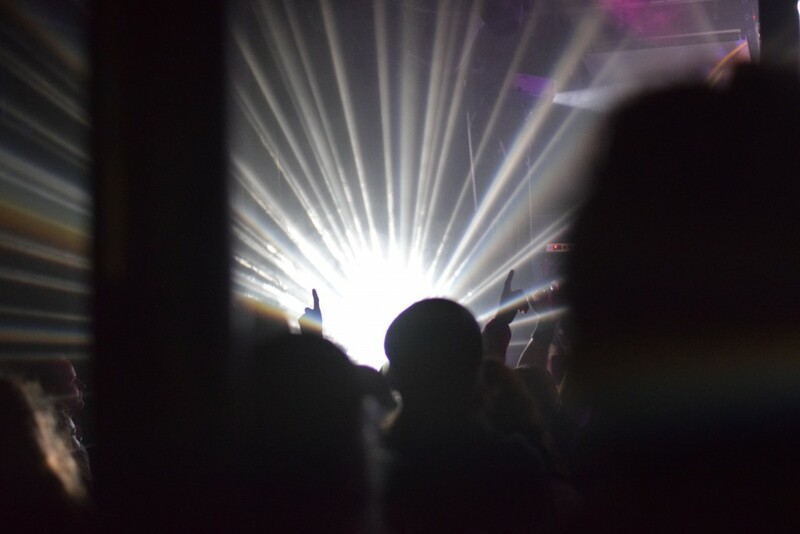 We get psychedelic projections on the back drop, rotating spotlights, strobes, smoke and who knows what else to fry your retinas (and make life bloody difficult for this photographer). And then there is the music. They have a back catalogue of over thirty years and twenty one albums worth of spaced out cyber prog rock that can – and does – make itself at home in rock gig, festival or rave. With an armoury of guitars, synths and various other electronic gizmos they weave an intricate soundscape that takes you to other planets and other dimensions. Occasionally you will be floating on the solar winds with them, but more often than not you will be surfing through loopholes in the space time continuum at the speed of light. I have been a massive fan of the Ozrics since I first discovered them in the 1980s and have every album they have released. But due to the complex nature of their work and the complete absence of any vocals to help you out, I still struggle to put names to tracks. Each one is different from the next, yet incredibly similar in style and texture . You could sit tracks from the beginning of their career next to brand new tracks and they would be very comfortable together. It is as if they travelled through time to find out what they would sound like in the future. 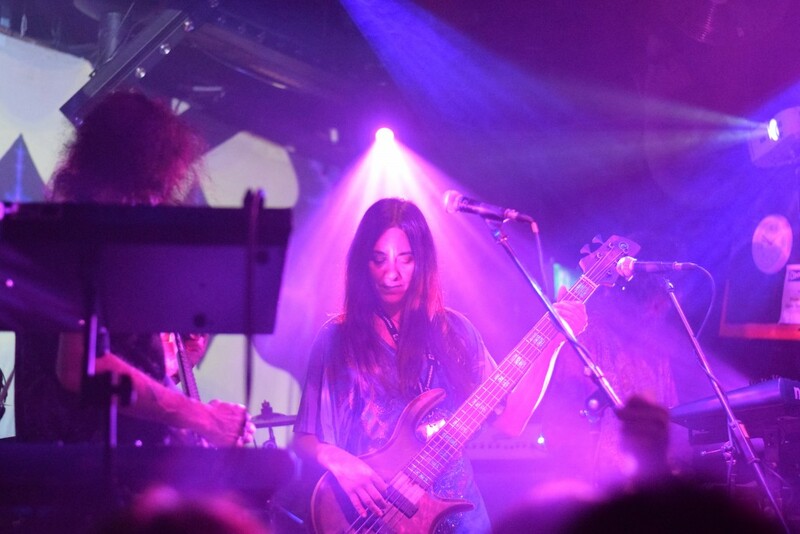 An Ozric set is like a massive two hour psychedelic jam session. I think I detected ‘OI’, ‘Jurasic Shift’ and ‘Erpland’ in there somewhere. I definitely spotted ‘Sploosh’, the single that spent an eternity in the independent singles chart in 1991. But it is not really relevant. If you are paying that much attention you are not letting the experience wash over you. And wash over you it does. And then, after two hours, we slowly drift back to earth and the crowd leaks out into the Bristol night. The normality of the real world sinks back in, but the knowledge that the memory of this gig will be there for a long time to come generates a grin.